Skin cancer is one of the most common types of cancer, and as such, there are a lot of different treatment options. One option has stood the test of time, however. 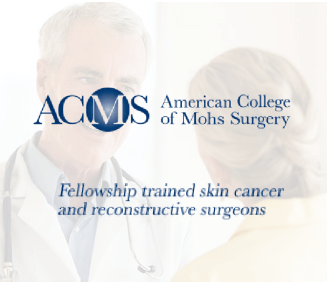 Mohs micrographic surgery, developed by Dr. Frederick Mohs in the 1930s, has come to be known as the single most effective technique for removing the two most common types of skin cancer: basal cell carcinoma and squamous cell carcinoma. It spares the greatest amount of healthy tissue while almost completely removing cancer cells. The cure rate for these two cancers with Mohs surgery is a whopping 98 percent. It is unparalleled by other treatment options. With Mohs, microscopic examination of all excised tissues occurs during the procedure rather than after surgery, eliminating the need to estimate how far the cancer goes. This enables the surgeon to remove all of the cancer cells while sparing the healthy tissue. One layer of tissue is removed at a time. As each layer is removed, it is studied under a microscope for the presence of cancer cells. Surgery ends when a layer containing no cancerous cells is reached. Mohs removes the guesswork of skin cancer removal, producing the best aesthetic and therapeutic results. Efforts have been made recently to make Mohs surgery effective for melanoma as well. In the past, people were afraid that some microscopic melanoma cells would be left over and end up spreading throughout the body. Surgeons have been trained to better identify melanoma cells under a microscope, making Mohs a viable treatment option for melanoma. Dr. Mark A. 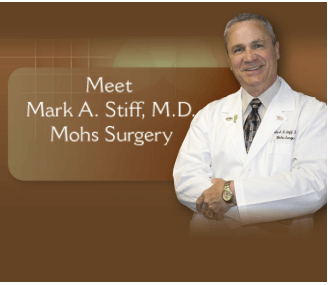 Stiff of the Skin Cancer Center of Southeast Michigan, located in Southfield, is an expert on Mohs surgery. People trust him because he is the best in the industry. He studied under Dr. Mohs himself during his surgical fellowship training at the University of Wisconsin in Madison and brought his expertise back to Michigan. 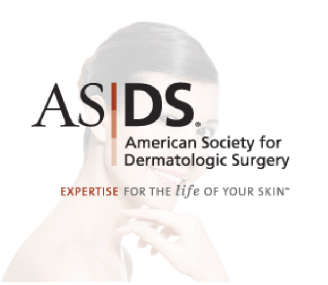 He holds multiple certifications and fellowships with various organizations, including the American College of Mohs Surgery and the American Academy of Dermatology. He also teaches residents in training as Clinical Assistant Professor at the Wayne State University Department of Dermatology. We are prepared to give you the best skin cancer treatment available. Our office is comfortable, our staff is compassionate, and our procedures are cost-effective and efficient. We are prepared to diagnose and treat all types of skin cancer, and we specialize in Mohs surgery. Our staff will help ease your worries about your treatable skin cancer.